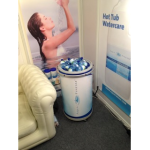 It was our eighth consecutive year at the UKs largest industry show SPATEX. 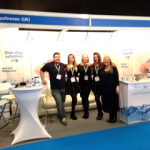 AquaFinesse’s UK distributor Sally Koob was delighted with the quality of trade enquiries and reported that she was able to welcome 2 new AquaFinesse dealers to the list of those already successfully trading in the UK with lots of leads to keep her busy afterwards. Sally told us ‘The SPATEX show give us at AquaFinesse UK the opportunity to renew bonds with our existing dealers and establish a relationship with new and potential ones, we would not miss it’.